Become a leader and innovator in public and population health management, analysis, and policy. The Public Health Administration & Policy MPH program provides core knowledge about managing organizations and influencing policy to improve population health. The curriculum emphasizes the skills necessary for population-focused management, policy development, and evidence-based public health. Graduates work in government agencies, nonprofits, health care systems, and for-profit organizations that seek to improve the health of populations. Connected. The Public Health Administration & Policy program has relationships with numerous national, state, and local public and private health organizations, creating opportunities for our students. Current. Faculty conduct cutting-edge research and help shape health and health care policy at all levels. Support. Students get individualized academic, professional, and career advising from faculty and staff. Networking. More than 10,000 alumni support students through mentorships, field experiences, career networking, and employment opportunities. Real world. Our Community Advisory Board helps us stay connected to what is really going on in the workplace. The Public Health Administration & Policy MPH program is a full-time, two year program that focuses on building skills in policy development and advocacy; project, program, and organization management; and data analysis and management. 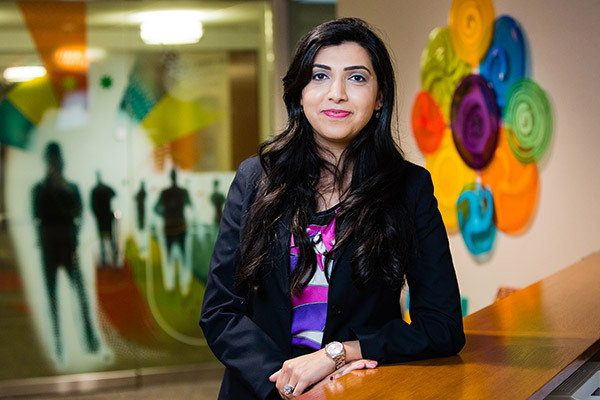 Makshita Luthra, MPH ’17, Public Health Administration & Policy, did her field experience at The Mayo Clinic. Click on the photo to read more.